The Enterprise, under Captain Jonathan Archer, sets off on its maiden voyage with a mission to return a wounded Klingon to his people. When the Enterprise investigates an uninhabited planet that turns out to be far more dangerous than expected. The crew members that visit the planet are infected by an alien pollen that induces hallucinations and paranoia. 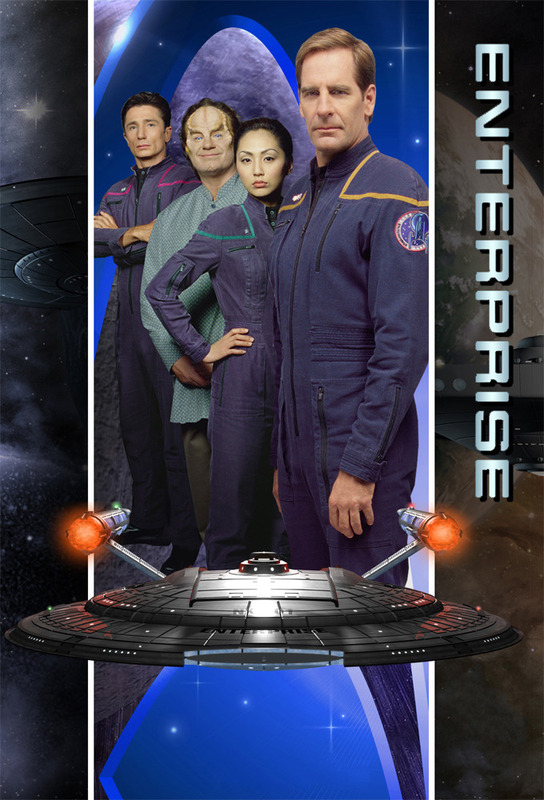 The Enterprise crew alters course to investigate the mystery of Terra Nova, a legendary Earth colony whose inhabitants mysteriously disappeared decades ago. But when they arrive, they confront descendents of the colonists who have become more alien than Archer could ever have imagined. A Vulcan starship interferes with Archers probe of an oversized comet. When Enterprise is attacked by an unidentified enemy ship, the crew must work frantically to get their new phase canons to operate. Meanwhile, Archer realizes that no one knows Reed well enough to give him a personalized birthday gift. The Enterprise encounters Ferengi pirates who use gas to knock out the crew and look for treasures on the Enterprise. But they havent counted on Tucker, who happens to be in the decon chamber and avoids the gas, and attempts to win back the ship from the pirates.